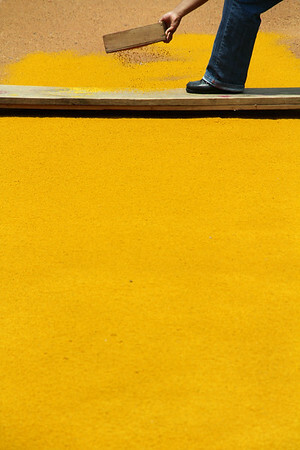 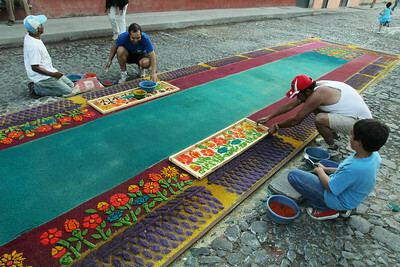 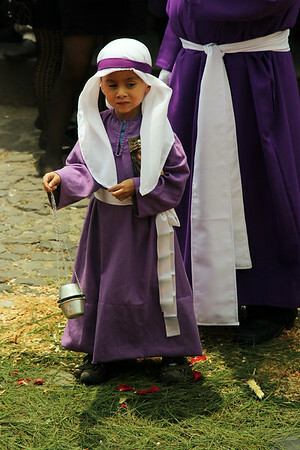 A young boy swings an incense bowl as he walks over an alfombra (carpet) in Antigua, Guatemala during a Lent procession on March 24, 2013. 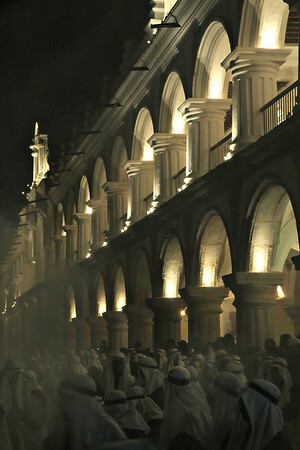 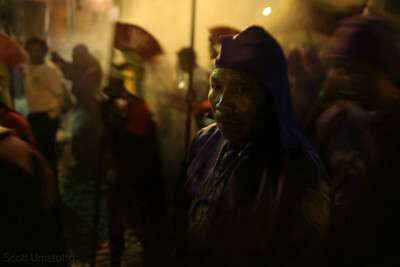 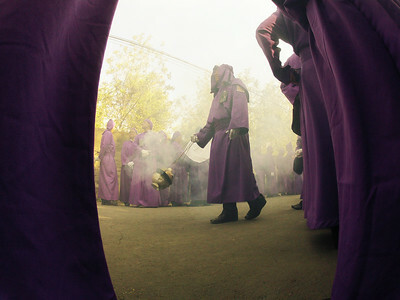 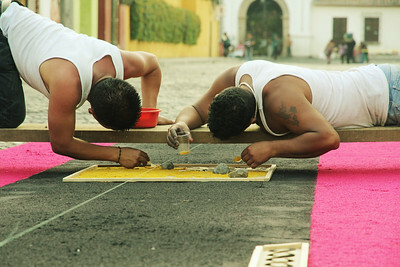 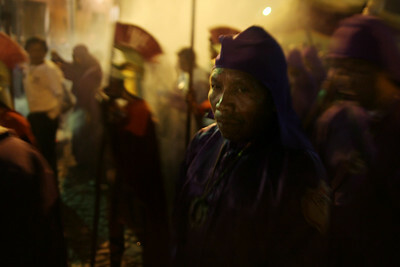 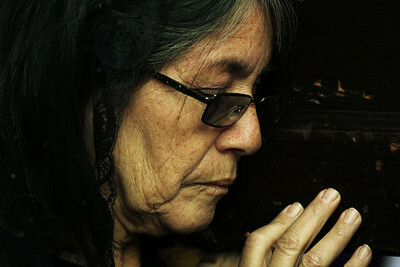 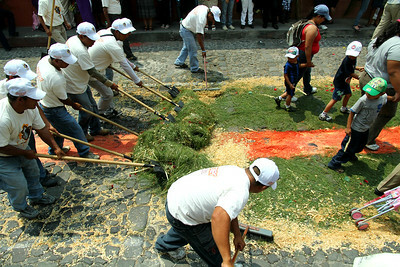 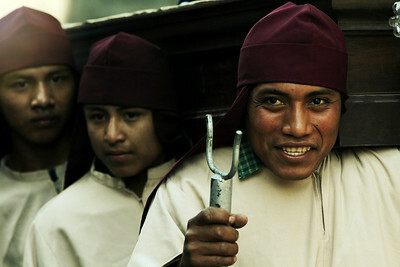 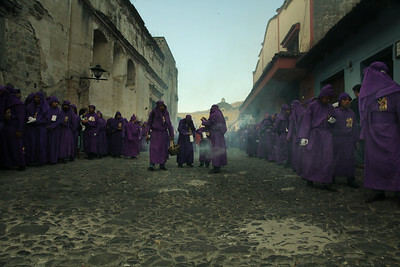 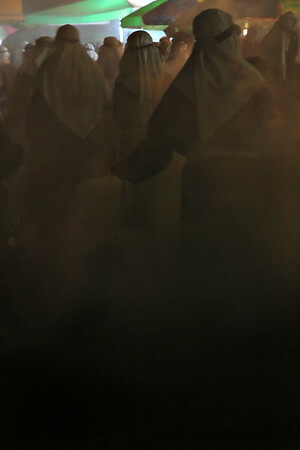 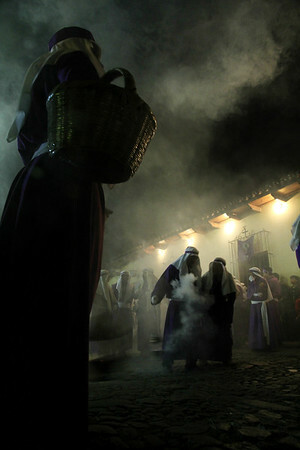 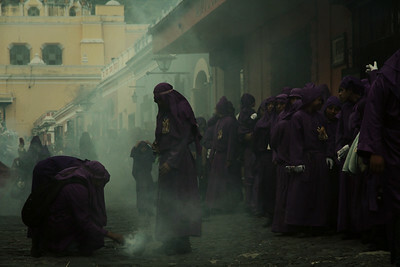 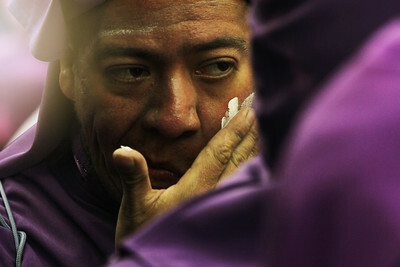 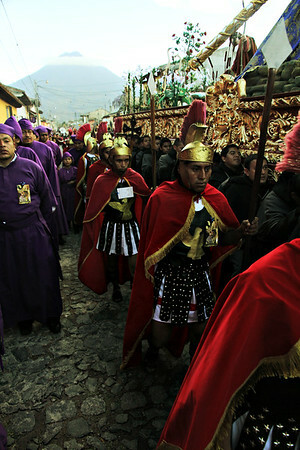 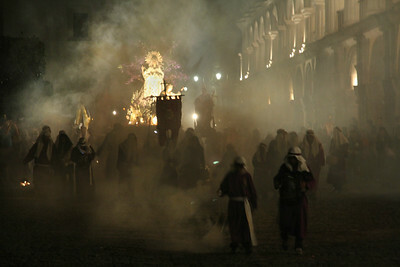 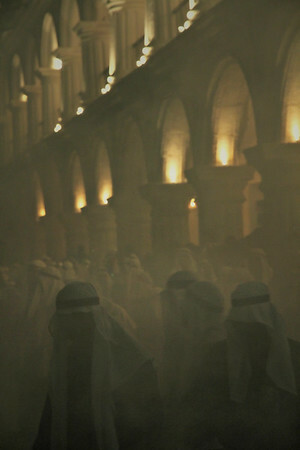 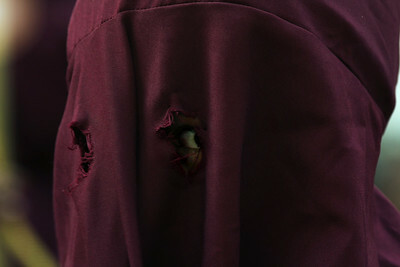 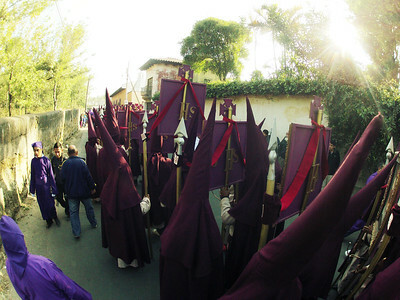 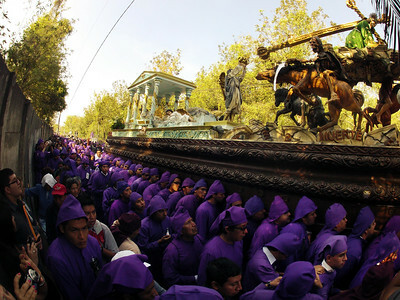 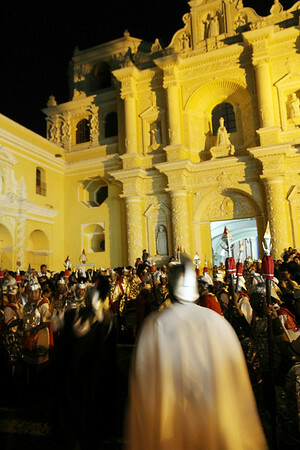 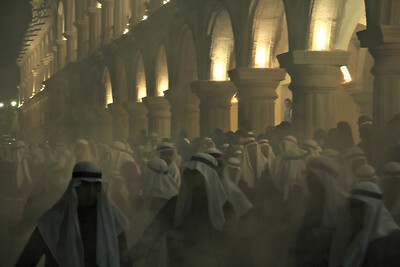 Lent processions move throughout Antigua, Guatemala on March 10, 2013. 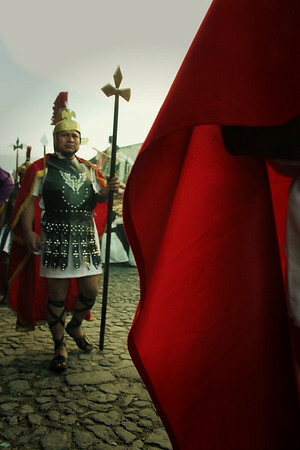 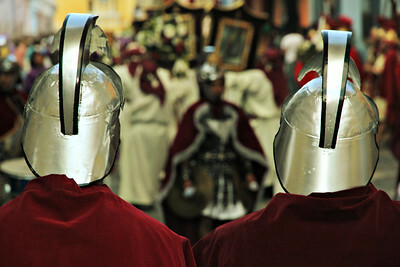 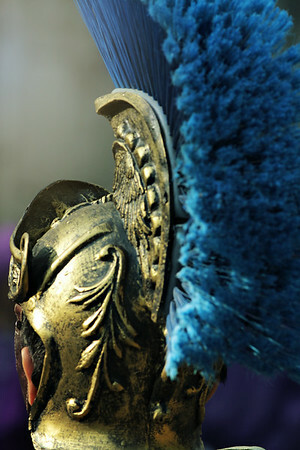 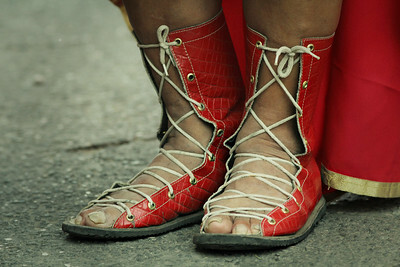 Beginning and ending at Inglesia Santa Ana, a somber percussion of drums and horns are heard in the streets all day. 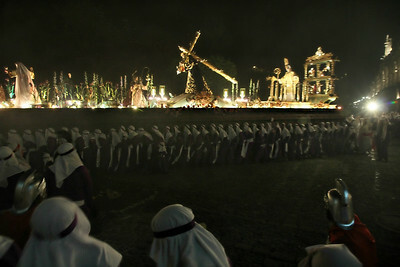 This procession started at 11am and lasted beyond midnight.